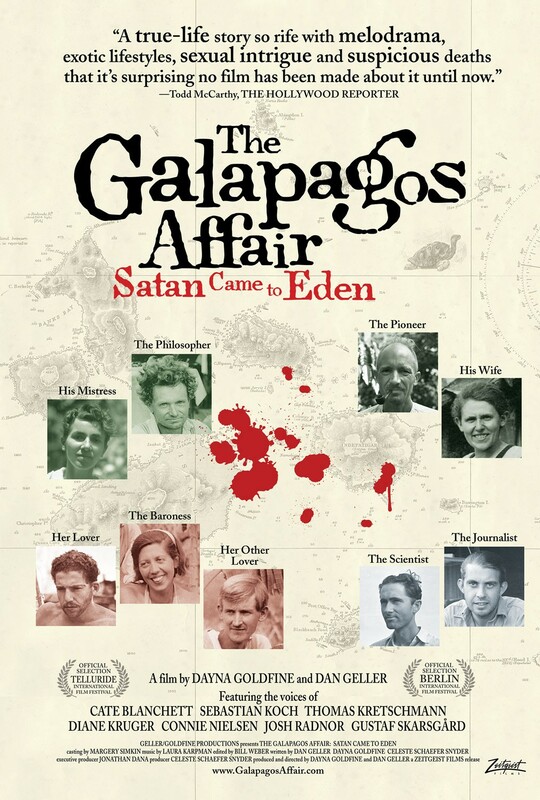 Documentarians Daniel Geller and Danya Goldfine have a fascinating story on their hands with The Galapagos Affair: Satan Came to Eden. It’s a real-life murder mystery that took place in the 1930’s within the secluded collection of islands located near Ecuador. In the late 20’s, a couple seeking independence and an escape from civilization took to Floreana to start a new life. Surrounded by tortoises and iguanas, Friedrich Ritter and Dore Strauch were antsy but content with their new home which some would define as paradise. However, Floreana grows with unexpected visitors forming a diverse small community. Even more enigmatic results ensued resulting in a final cryptic twist. 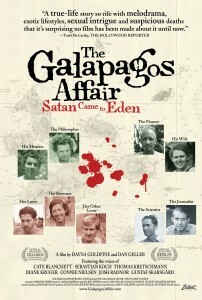 The Galapagos Affair: Satan Came to Eden sounds neat, doesn’t it? It did to me once I watched the trailer and read up about the doc. The idea of never being able to get away from a communal setting was enticing, and the overall mystery surrounding the story had me interested. Geller and Goldfine can sense that, so why did they try and drive my fascination away with belaboured filmmaking? At first, the doc does a good job at pulling its audience in. 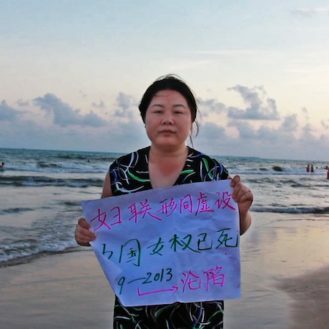 The set-up of having entries read overtop of black-and-white footage and photographs compellingly foreshadows the uncertainty that’s to come. The filmmaking duo are cautious with how each person is weaved into the narrative and are never booming with the gradually prominent puzzling allure. What the documentarians halfway realize is that these talky segments can’t solely carry their movie. When comprising a whole two-hour film out of this format, it starts to tear when it’s flexed and dragged out. In order to soup up the experience, The Galapagos Affair: Satan Came to Eden brings in well-established actors to do these readings. Cate Blanchett and Connie Nielsen are the most recognizable names while Inglorious Basterds’ Diane Kruger and How I Met Your Mother’s Josh Radnor are also included. The actors do what they’re supposed to do with as much emotion they can muster from the lacklustre production. But, decent voice acting isn’t enough to keep the audience curious. Consistently trying to get the doc to hold together, Geller and Goldfine use modern day interviews from similar people who have lived away from civilization in remote areas. Some can even relate to the events that took place in the past. These portions are interesting, though it is obvious that the interviews are only here as tools to add relevant juxtaposition and parallels to a film that’s trying to desperately gain longevity. What happens is that The Galapagos Affair: Satan Came to Eden gives the audience two docs – the 30’s murder mystery and living life on an island. Both can be jaw-dropping and flooring in their own right. Both topics have similar context but when paired together, they strangely don’t have a cohesive relationship and are stretched far past their primes. Some genuinely engaging moments appear now and then – like watching the silent film that was shot on Floreana starring the highly controversial tenant “the Baroness”. Otherwise, the water-bound The Galapagos Affair: Satan Came to Eden is a boringly dry doc with a story that deserves a better vehicle.